MABAT’s Manual Chemical Wet Bench allows treating parts placed in a designated holder by manually passing the holder along chemical process baths and local sink. 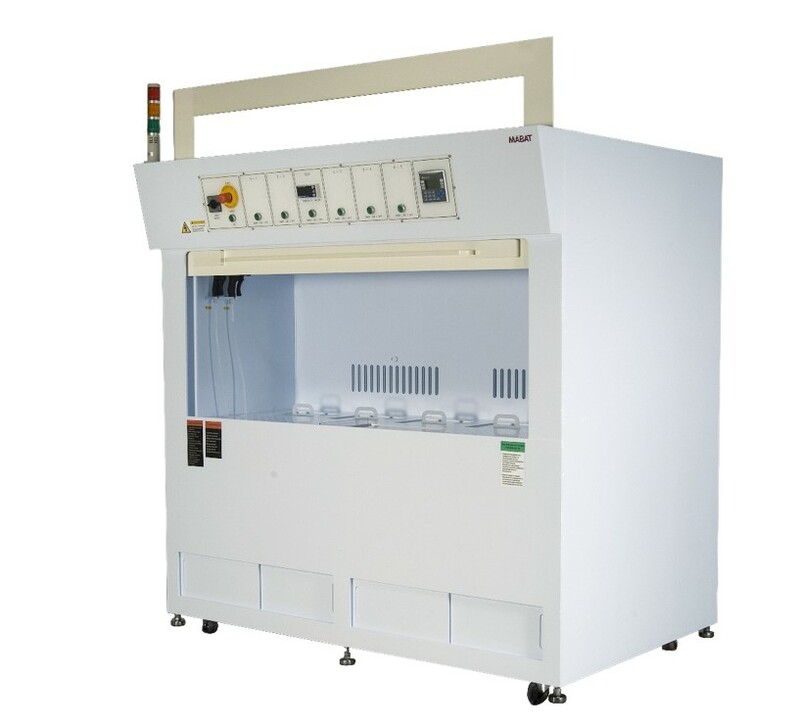 The Manual Chemical Wet Bench includes chemical process baths, working surface and local sink. The system is controlled and monitored by a user friendly HMI accessed via a local touch screen. The operator manually transfers and submerges the holder between the process baths and the local sink. Each bath comprises a timer that determines the duration of the submersion.